The 32nd International Publishers Congress opened on February 11 with participation of around 300 delegates from India and some other countries. The Congress which organized in New Delhi, India will continue from February 11 –14 February 2018, at Hotel Taj Palace. The Congress includes the award ceremony for the 2018 IPA Prix Voltaire and will feature a full programme of sessions covering burning issues affecting publishers and the publishing sector. Under the banner of Shaping the future: innovation meets experience, the three-day event kicked off by the Honorable Minister for Science and Technology of India, Dr Harsh Vardhan, and the Honourable Minister for Commerce and Industry of India, Mr Suresh Prabhu. The International Publishers Association (IPA) is the world’s largest federation of national, regional and specialist publishers’ associations. Its membership comprises 70 organisations from 60 countries in Africa, Asia, Australasia, Europe and the Americas. In the programme, Engr Mehedi Hasan, Chairman of OMICON PUBLISHING HOUSE, The largest international book publishing house in Bangladesh, CEO and Managing Editor of Banglaprakash, said Freedom To Publishers worldwide; It’s the publishers around the world that have risen to the challenge and are publishing what we would call trustworthy information, as they’ve been doing for ages. On this occasion Fip president N.K. Mehra, Dr. Michiel Kolman, President of the International Publishers Association, Michael Healy, the Executive Director International Relations, Maria A. Pallante, President and CEO of the Association of American Publishers, Hugo Andreas Setzer, the Mexican Publishers Association, Asoke K. Ghosh, Chairman and Managing Director of PHI Learning Private Limited, Emma House, the Deputy CEO of the Publishers Association. Mr Juergen Boose, the President / CEO at Frankfurter Buchmesse, Bodour Al Qasimi, Founder and CEO of Kalimat Group, Kristenn Einarsson, the chair of IPA’s Freedom to publish Committee was present in the function. 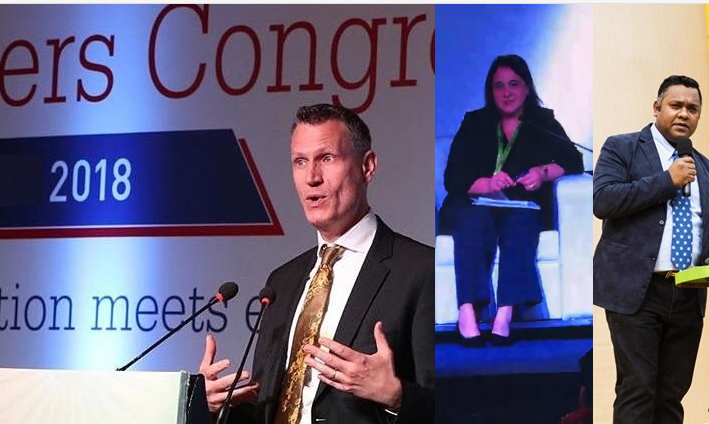 Michiel Kolman, IPA President said, It’s great to bring the Congress back to India with a strong emphasis on promoting copyright and defending freedom to publish. These are issues that are important locally, regionally and globally and the programme is bursting with great speakers to tackle them.